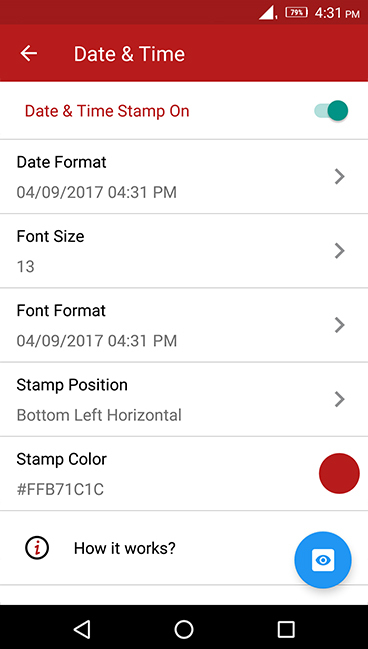 Capture Happy Moments of your Life and make them enduring by adding opulent watermark stamps on images with Auto Stamper. 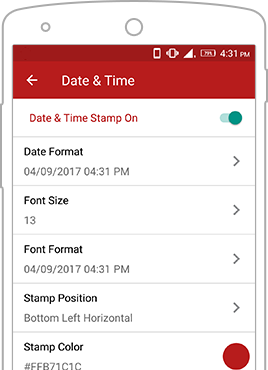 Auto insert exquisite Date and Timestamp on your Photos easily and swiftly with #1 Rated stamping app in Google Play Store. 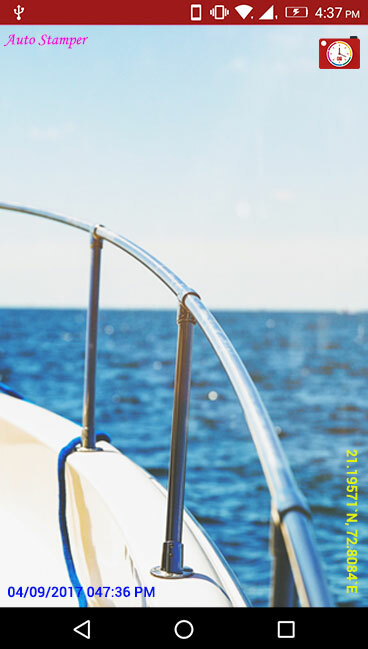 It’s extremely beneficial to watermark Date Time stamp on Pictures so while viewing them again after a year or two, you are still connected with those adorable memories of yours. Thinking how to add text on Pictures? Your wait is over then! 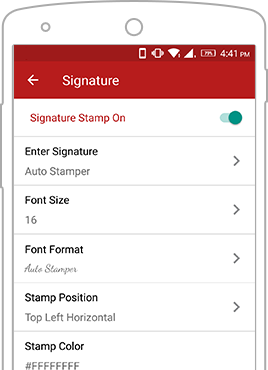 Add a Signature text on Photos in the form of copyrighted watermark stamp and protect it from any kind of misuse by others. 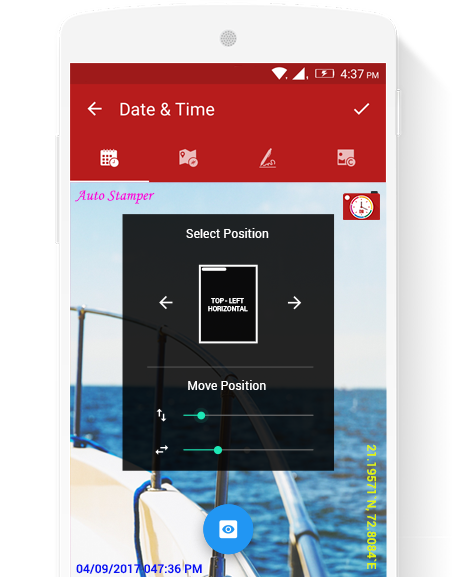 Write any text or words on Pictures as per your convenience and insert it where you want from wide range of 8 corners choice with attractive color and text combinations. Watermark GPS Geolocation tag in your Pictures as per your liking's when you are at some exotic location celebrating an auspicious event. GPS stamp is only used when the event is really special and needs to be marked with a remembrance. 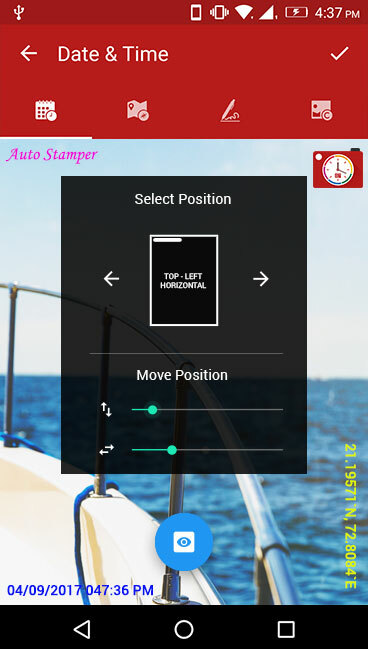 You just need to turn ON GPS in your mobile phone and Auto Stamper will work as GPS map Camera for you. Logo has its own significance which is required by lots of people whether it is business executives, photographers or any other product service companies. Your logo is a mark that itself identifies you. 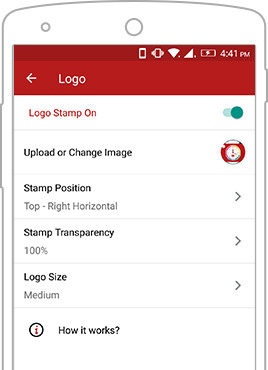 But now it’s damn easy as Auto Stamper helps you watermark your photos with logo easily and quickly through your smartphones. 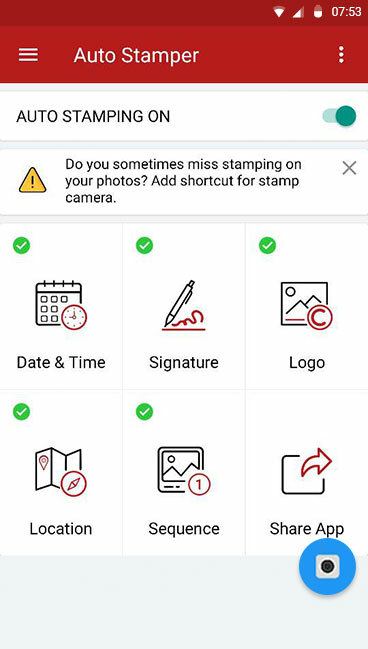 The Application is fully enriched with enhanced and advanced Stamp Editions to get you scintillating captured clicks with perfect Stamps. 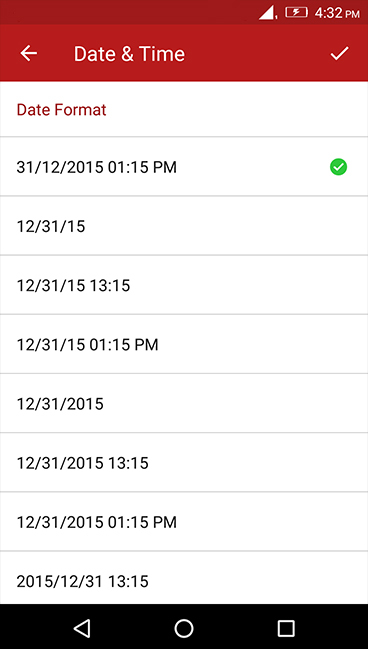 Select Date-Time or signature or GPS stamp by manually on/off functionality. 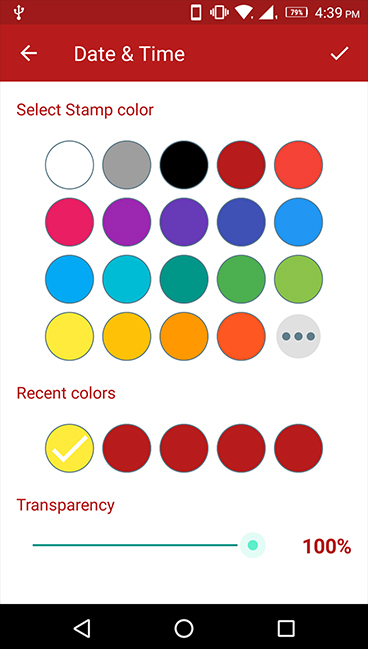 No more requirement to use application’s in-built as you can click images with phone’s camera only. 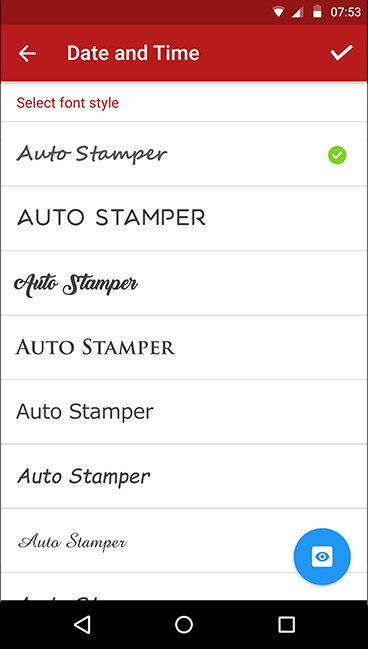 You can adjust the format of the stamp as per your choice that will match your image theme. 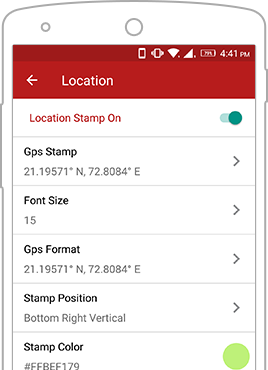 Single app which provides you all the stamps i.e. 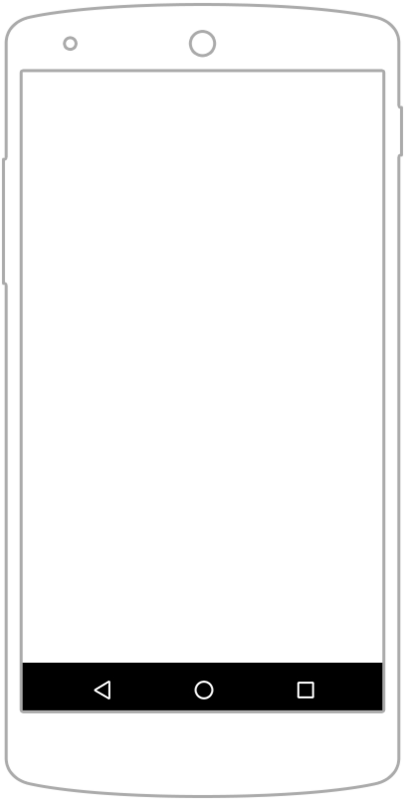 Date and Time, Signature and GPS.